If you’ve ever tried to work out with a conventional corded pair of earbuds, you’ve probably had to deal with tangled cords – maybe you’ve even accidentally pulled your earbuds out when the cords get tangled in your hands or equipment. 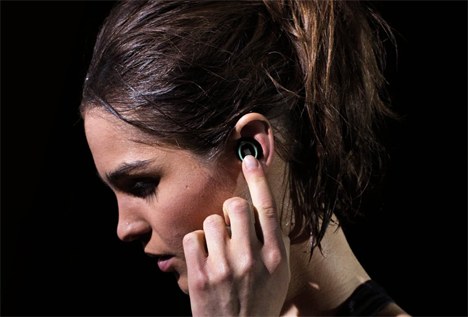 Dash wireless headphones are in-ear devices that do way more than play your favorite workout playlist. Dash headphones come in three different sizes to fit tightly into the ear so they stay put as you go about your daily routine. The internal 4GB MP3 player can hold plenty of music; the MP3 player is controlled by touching the surfaces of the earbuds. Each performs different functions, and after you memorize them you can control your music without pausing your workout. 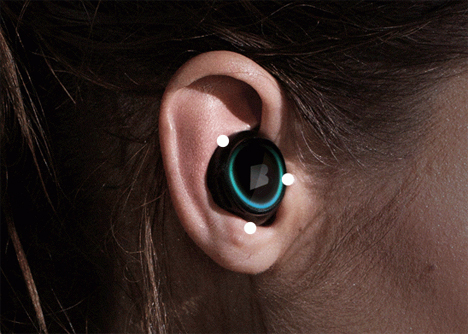 The Dash headphones are connected to your smartphone via Bluetooth and can also be used to make and receive calls. Passive noise cancellation keeps your music and phone calls clear, though if you want to allow ambient sound through (such as when you need to listen for oncoming cars) there’s a simple control for that. 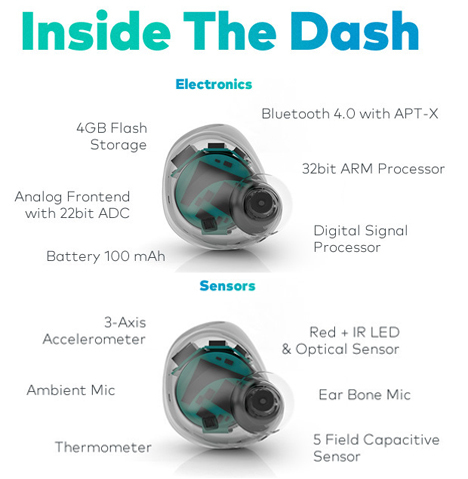 Music and phone functions are just the beginning of the Dash’s capabilities. The headphones also act as a fitness tracker by measuring your heart rate, oxygen saturation, calories burned, and other workout data. The information is run through the Dash smartphone app so you can track your fitness goals and achievements. 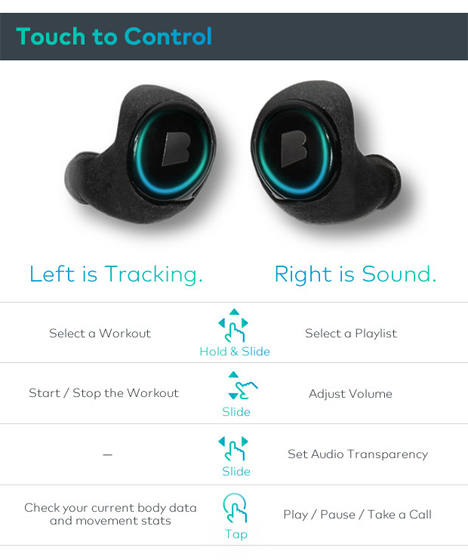 Starting at $179, the earbuds sailed past their Kickstarter goal and will soon be a common sight in the gym and on the street.